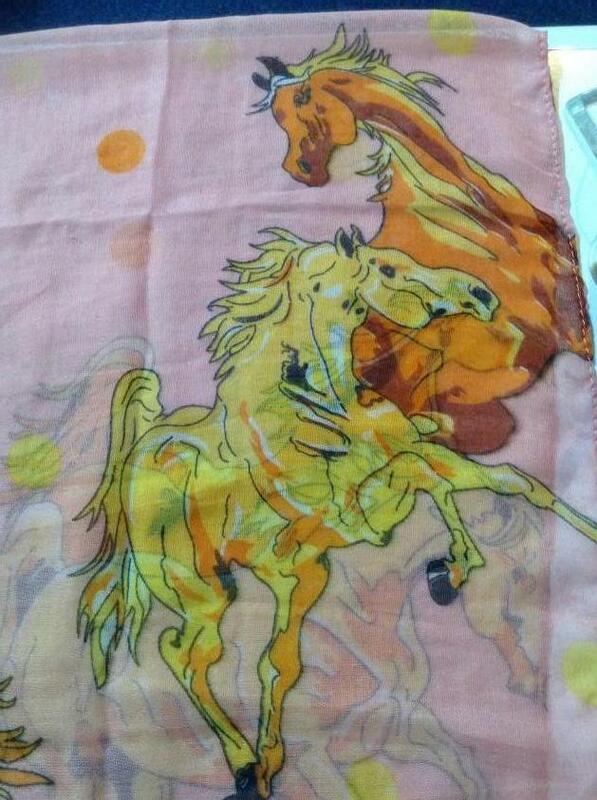 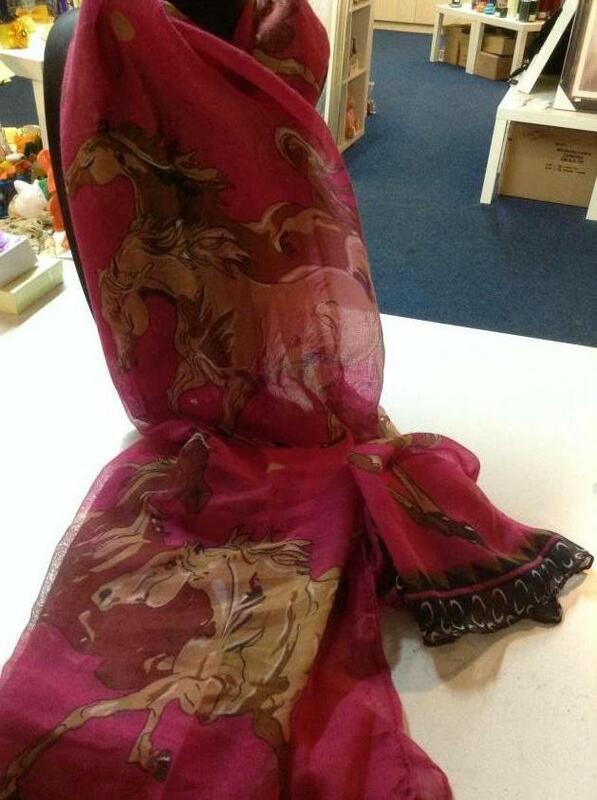 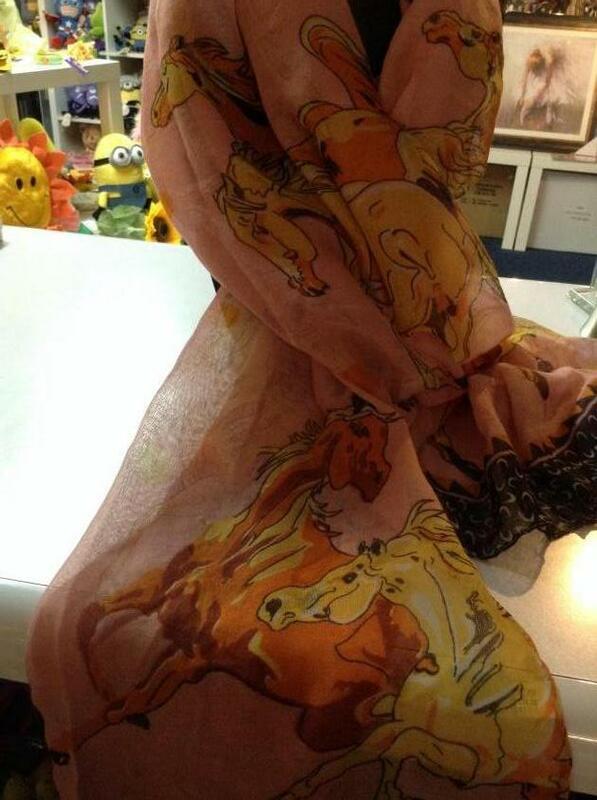 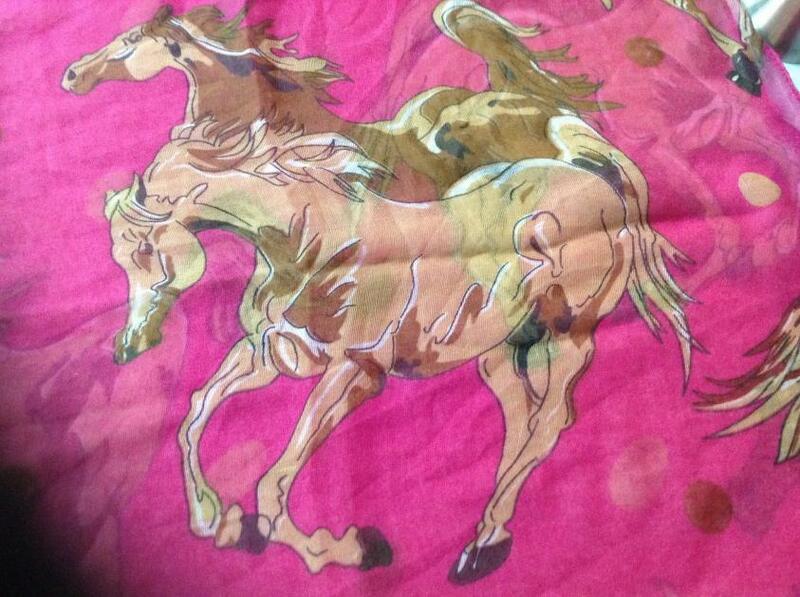 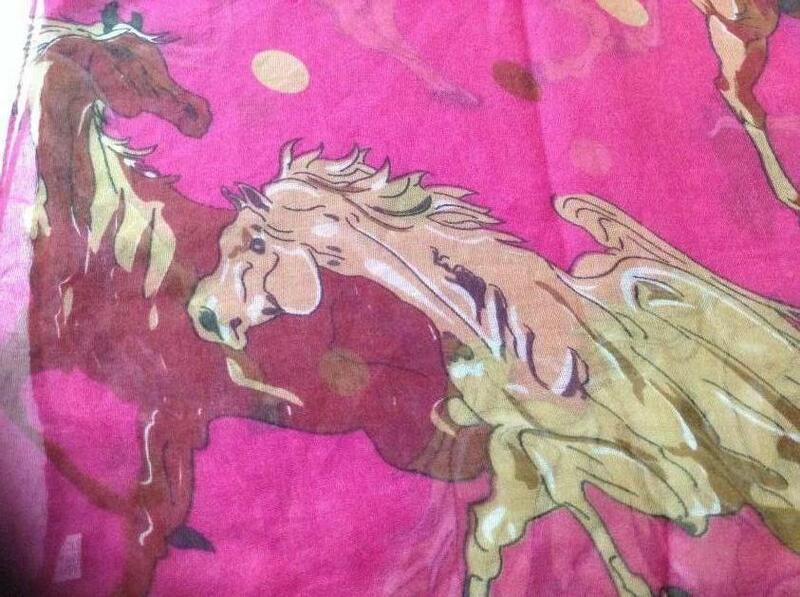 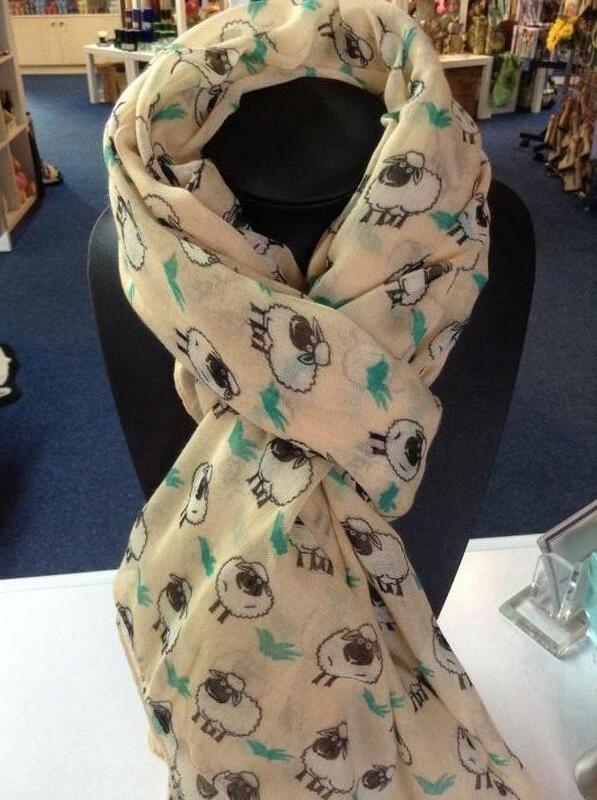 This scarf has a stunning design featuring two wild horses running. 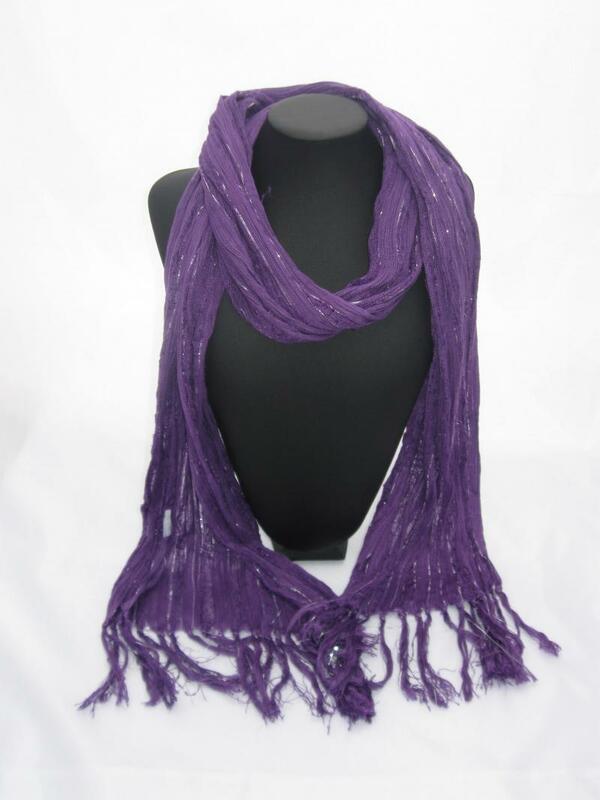 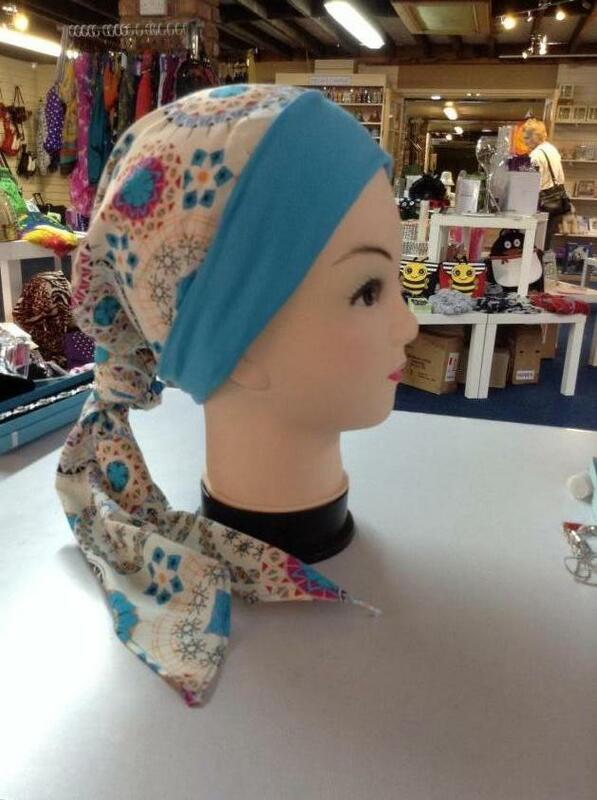 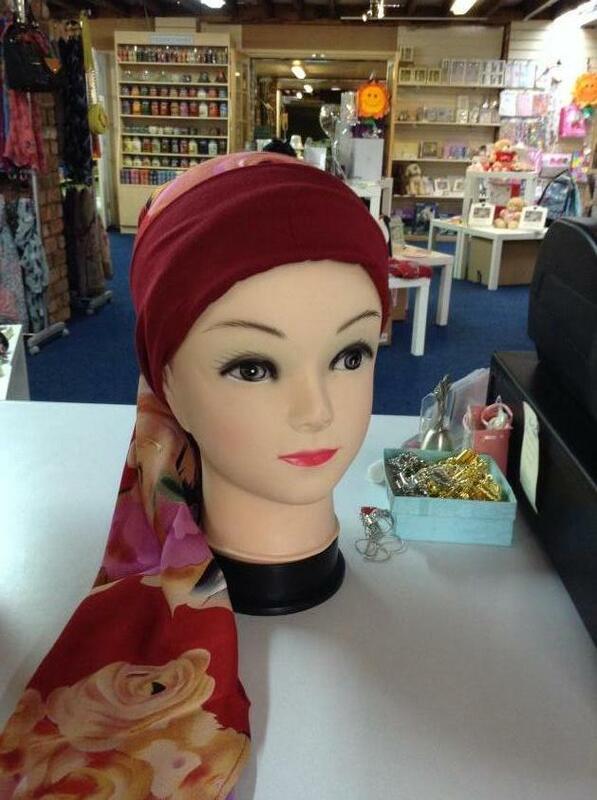 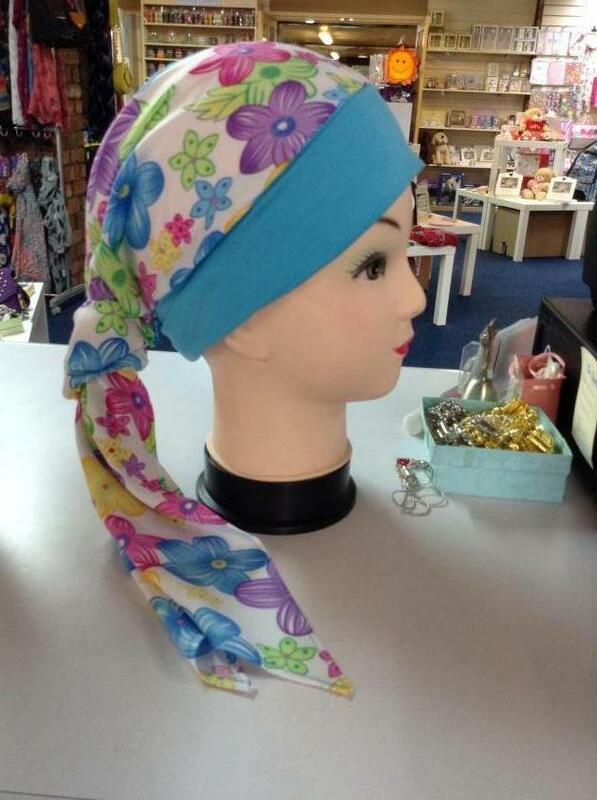 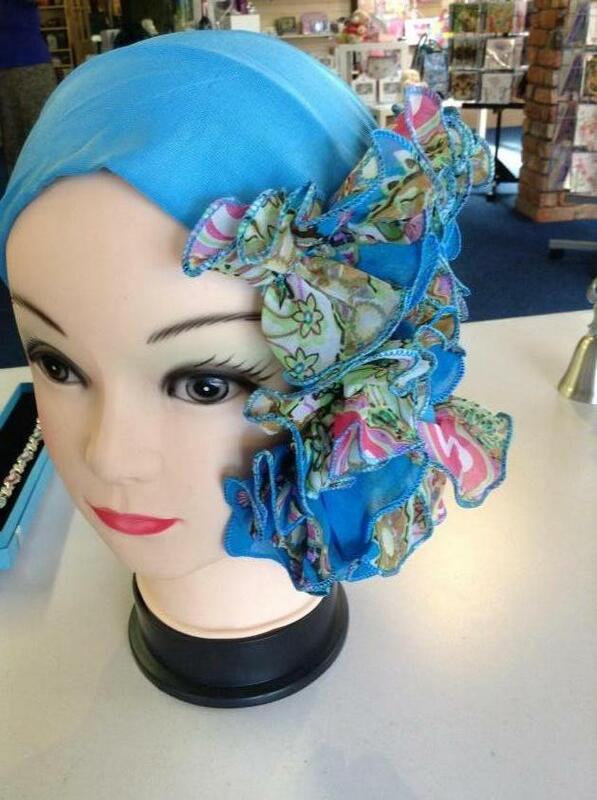 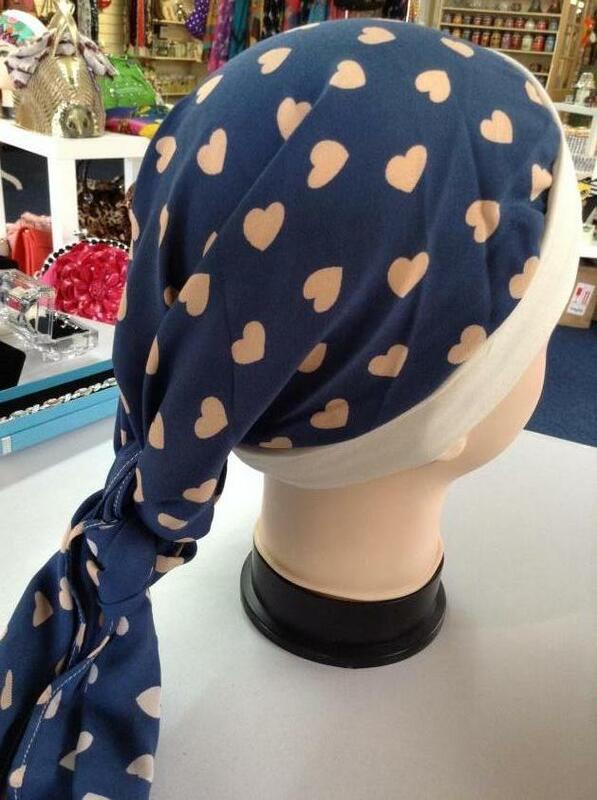 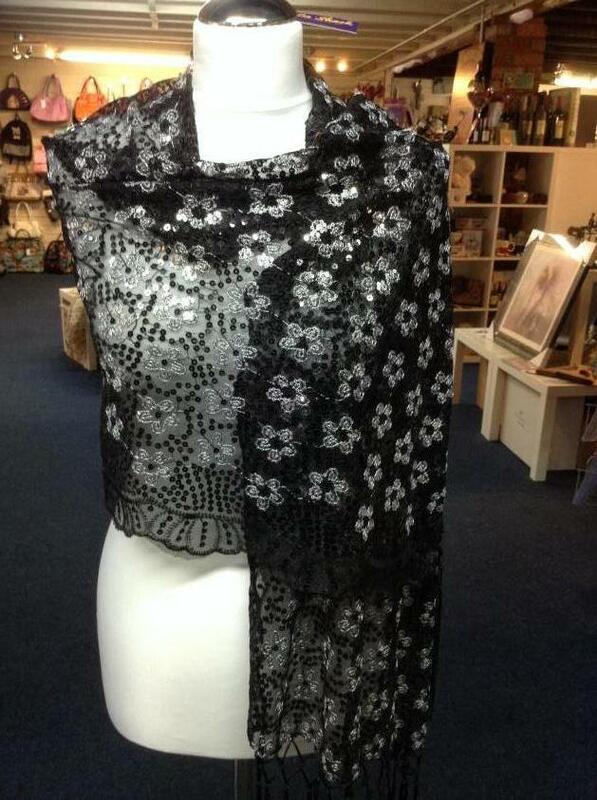 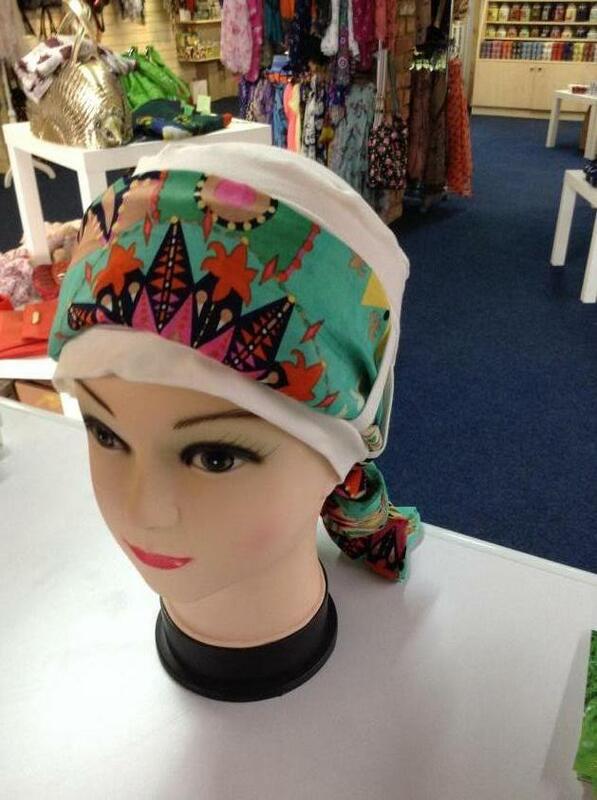 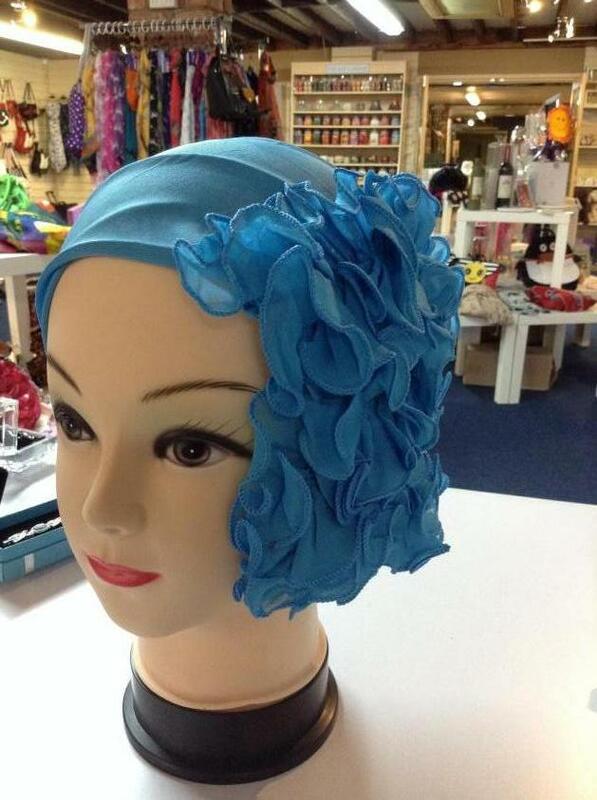 The beautifully soft scarf is approx 178cms in length and approx 71cms in width. 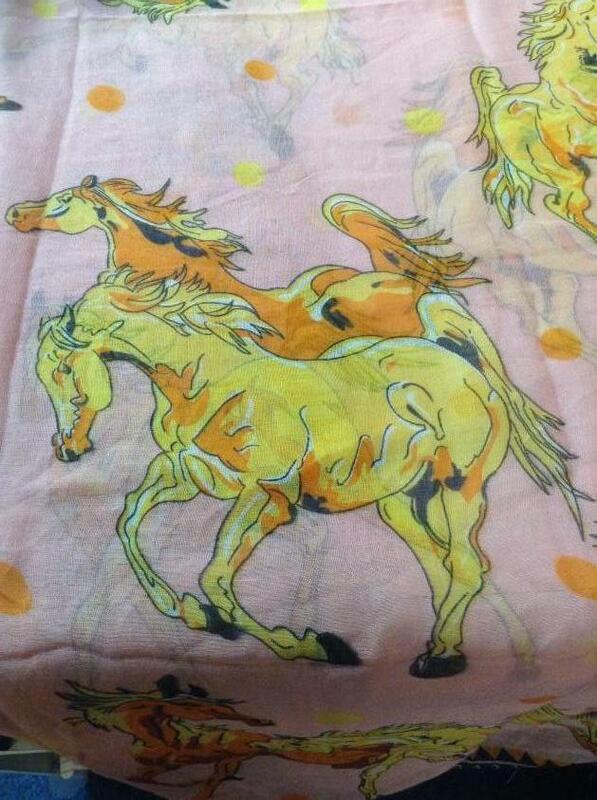 Choose from vibrant pink background or yellow horses on a light background. 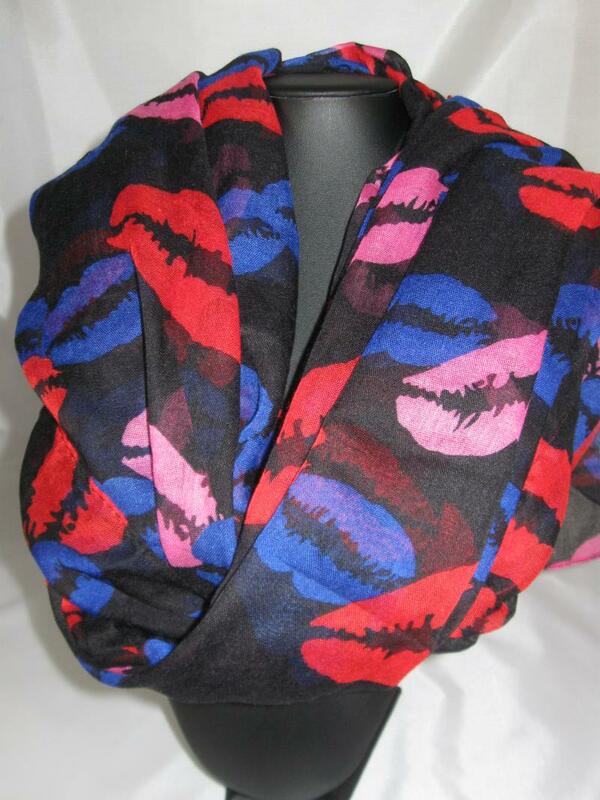 © Copyright 2013 LA Shack All Rights Reserved.